Edited by Alburaq, 01 February 2019 - 16:22. Is Danica the driver for your Sparkle Pony special ? The two latest entries just underline how much variety is possible. Nice! 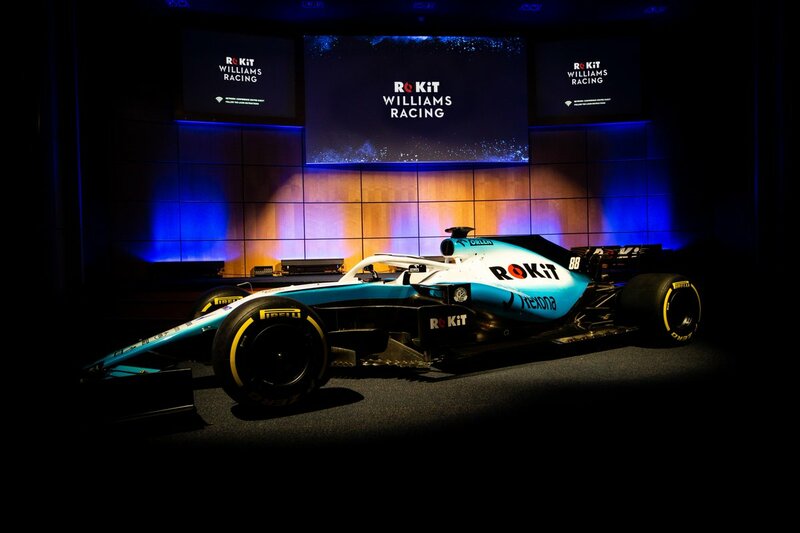 The Racing Paint GP Team's livery is like the Honda-Earth's one, only worse. But in a good amusing way. Another one, my job company. Who didn’t read the rules....? It's the weekend again, what better time to create some stunning liveries? Let's see some more designs! Edited by w1Y, 09 February 2019 - 12:59. Yes but... the ones that are artistic creations of hilarity get more traction. Unfortunately there is little understanding that cars are three-dimensional things. Most of the liveries would not work in reality. Who invited this party pooper? It's done everyday using three dimensional items. Here's an example of how. Honda's Earth Dreams Livery Project is another example employing a different technology.. The sidepods on modern F1 cars are so small and short that you only really have to account for them with lines going from the airbox down to the sidepod around the entry area, where the radiators would be. In any case, these templates are not 3D so it's all good. Account for the width of the car if you want, and if you don't, that's cool too. Edited by Nonesuch, 10 February 2019 - 10:32. OK, this is aggravating. I've created an entry, uploaded it to imgur, and tried to post it, but I keep getting a message saying "you are not allowed to use that image extension in this community." I've saved it as a TIF, a JPEG, and a PNG, but nothing's working. What do I meed to do? Highlight the image. Click the arrow in the top right corner. Click get share links. Extract from the BBCode option the actual .jpg image link between the surplus HTML. Post here using the image function as normal. Or send the imgur link to me per private message if you cannot find the .jpg link. Here's the 2019 MAGAmobile, with its patriotic white, blue and red color scheme. I'm not going to say who the engine supplier is, but let's just say it's tremendous, it's gotta lada power, and it'll be rushin' to victory. Edited by Rob G, 11 February 2019 - 01:57. ...or very seventies: "I used to think national flags were boring, but then I discovered Smirnoff." Sorry, below the incompetency line. You may have put a lot of effort into this one (doesn't look like it tho) but I have to be brutally honest with you, this is the worst entry into this year's competition. Please try again. Edited by TheGoldenStoffel, 11 February 2019 - 17:28. EDIT: re-uploaded it in a smaller resolution, the original was quite big maybe that was causing problems. Edited by TheGoldenStoffel, 11 February 2019 - 17:29. Here's a quick idea I had. Possibly done before. Will try to finish another submission before the deadline. Looks almost like the Brazilian flag. Except there’s no Blue or Yellow. The Ubisoft Racing #15 car. And yes, this is a variant of an earlier entry. And definitely no ordem or progresso. Nyet, comrades, it's very 2016. After a ruling deemed Ferrari's PMI tobacco sponsorship illegal, the Scuderia have had to go to great lengths to gain some new sponsors. The Italian powerhouse, oddly, has partnered with a few smaller companies not before seen in Formula One, including Canadian companies Benson Auto Parts and Lucky Mobile; along with American brands such as the Hedges family winery, the West Corporation and Strike Construction. A mysterious new company thought to be taking title sponsorship include a shady company under one H.J. Simpson. Are all those boring real liveries making folks feel creative? Be sure to share your designs!